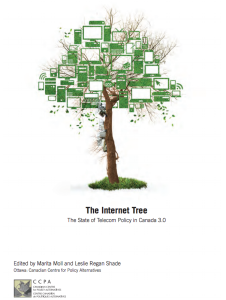 My chapter in The Internet Tree : The State of Telecom Policy in Canada 3.0 focuses on the need for openess in Canada’s digital strategy. I discuss Canada’s digital economy and strategy. Canada can implement an openess principle and frankly it makes sense. The possibilities I identified include increased government transparency, open access to federally funded research and the use of open source software. This whole book is available for free download here.